Borderlands 1 + 2 + Pre-Sequel enhanced versions are live and free on Steam! just update or install the game; might have to restart your Steam to activate it. I know I shouldn’t be, but for some reason I am excited to play through an "updated’ BL1, because there were so many quality of life and general improvements between 1 and 2 (not to mention some smoothness changes between 2 and 3.5). Welp, looks like I get to go back through all 3 games again. 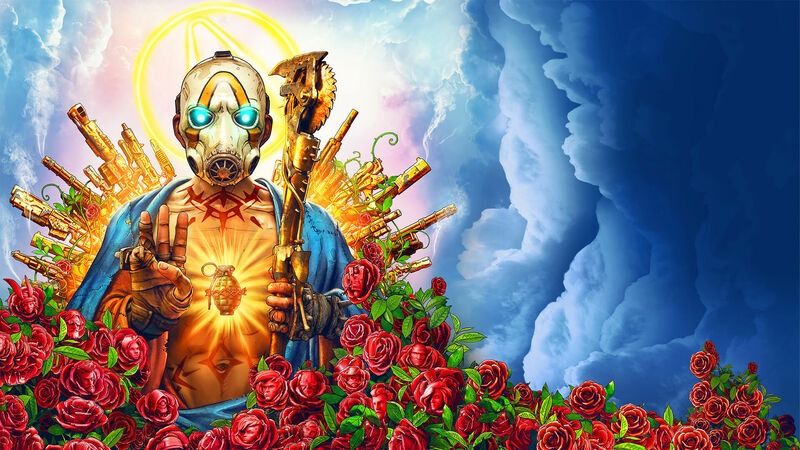 Borderlands 3 is the latest in a long list of major PC games ditching Steam in favor of Epic Game Store exclusivity. yep yep, i do now too, thx for calling that to my attention! I didn’t have that earlier. It’s enough to piss me off because everything will be all over the internet by then. Your info is in the best of hands. Whelp, I have now put in about 8 hours on Borderlands GOTY Remastered. So that means you are now able to hear my opinion. The new graphics look nice, and even if you don’t meet the minimum requirements to run, the game is still an improvement graphically over borderlands 1. The fact it was free since I owned the original is nice, and I like that if you buy the GOTY remastered it gives you both the remastered and the original version (allowing players to go back to the ‘core version’ if they want). This point alone probably discounts most of my negative points. You can import characters from BL1, and the game is very generous in doing so… I am quite pleased that I don’t need to grind up another lv 54 character. Minimap addition was a freaking godsend, although the same compass from BL 1 is still located under the XP bar (not quite sure why, but if you liked the compass it is still available). The improved item drop rate is quite noticeable and makes sure that the game experience is markedly better since you will have more items that are worth looking at rather than everything being trash. (If you were going to try and grind out the achievements for the Collect X items in Claptrap’s Robolution I would recommend doing it on the Remastered version). I almost forgot that everyone went crazy over the expanded options… Fov sliders etc. I didn’t use them for the most part. The gold chests… I haven’t used them but I just don’t enjoy the dynamic it sets up, gold chests annoyed the heck out of me in 2. The sort of bad: If you liked Borderlands 1’s characters and most importantly the skill trees, you won’t have any issues in the Remastered. However, I think that borderlands has had plenty of experience improving upon the skill trees and although I wasn’t shocked to see no change to any of the characters, I was still unimpressed at how bland Roland continues to play. Additionally, the enemies and environments of BL haven’t been changed beyond the texture quality, so if you liked the dynamic and organic behavior of the BL2 enemies (with more interactions between allied creatures) you still won’t find that here. The game still has a few hiccups and abrupt stops… plenty of disconnections and issues finding/joining other players games while playing co-op. A particularly unwholesome bugbear came in the form of the minimap (a tremendous improvement onto the original game) being a blank circle until loading the full map (with m) when traveling to a new location. Additionally, if you play co-op the game automatically has your mic on in the lobby, nothing short of muting any other players will prevent it, if the sound is on and you have another VOIP, it is incessant annoyance and you will still transmit no matter the options you set. So final verdict: It is a remastered Borderlands 1, in a prettier dress and done up right, but underneath it all, it is still Borderlands 1. If you preferred Borderlands 2 for a smoother, better fleshed out and more like-able cast, with focus on showing not making the players read the story coupled with a more dynamic experience. You still will prefer Borderlands 2 for that reason.